Cloud Hotel and Suites offers luxury rooms with a blend of African and western hospitality in an atmosphere of timeless elegance. 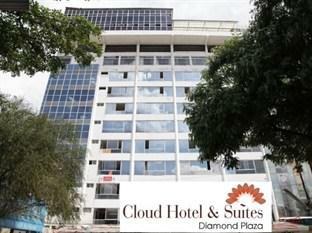 This hotel is set in the heart of Parklands, offering outstanding accommodation, services, amenities and cuisine.Cloud hotel and suites offers luxury rooms with a blend of African and western hospitality in an atmosphere of timeless elegance.. The 40 rooms are all furnished with modern facilities, such as air-conditioning and satellite TVs. Luxurious bedding with Frette linens, towels and bathrobes are provided. The standard rooms cater for all your basic needs, while the Master Suite includes a bar and lounge area, and caters for the VIP client. Airport transfer from Nairobi Jomo Kenyatta International airport or Wilson airport to Cloud Hotel and Suites Parklands or transfer from Cloud Hotel and Suites Parklands to Nairobi Jomo Kenyatta International airport or Wilson airport. - Payments are in cash after service delivery. Payable to the driver when he drops you to the Nairobi hotels or to any other Nairobi environs transfer services requested.